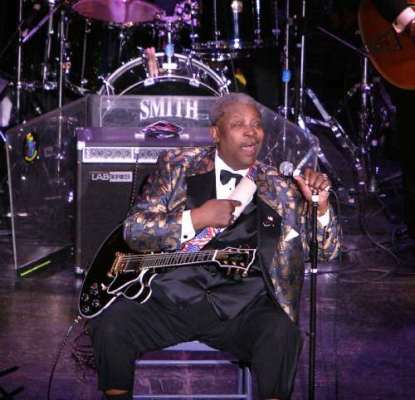 Blues fan Dust My Broom saw�BB King in Calgary this weekend. The man is 81 and still on the road. God bless this lovely, amazingly-talented guy. I went to college down in the deep south in the late 60's. I became friends with a fellow from Baton Rouge who was a fine bassist with a love of the Blues. His great great grandfather owned many slaves. During Christmas break he came home with me to Yonkers and we went down to the Bottom Line in the Village to see BB. We were the only whites in attendance. We were in heaven. BB was great as usual. What stuck me most was the kindness and love of the man as much as his music and the irony well of the former slave owners desendents love for this black man. An indication of how music can effectively change attitudes and the culture in a good way.